The Iranian ballistic missile launch that President Donald Trump tweeted about Saturday apparently never happened. That’s what U.S. officials told Fox News and CNN on Monday after U.S. intelligence assets in the region, including radar and satellites, found no indication of a launch. On Friday, Iran’s state-run TV showed video boasting of a new missile launch, but that footage turned out to be seven months old, U.S. officials said, taken from an unsuccessful launch in March. 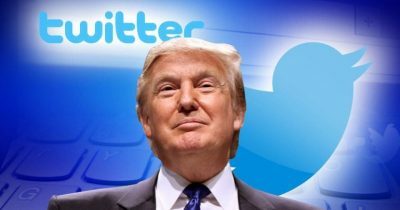 Trump has been criticized a number of times for jumping to conclusions and commenting on Twitter before breaking news reports have been confirmed. As of Monday night, he had not deleted the erroneous tweet. Separately, Twitter Inc. TWTR, +0.29% on Monday explained that it would not block Trump’s more incendiary tweets because they are newsworthy. Some had complained to Twitter that his threats toward North Korean leader Kim Jong Un — which North Korea said Monday it took as a “declaration of war” — violated the company’s terms of service. In a series of tweets Monday, Twitter’s Public Policy account said “newsworthiness” and “whether a tweet is of public interest” are two of the factors it uses when considering rule violations. “This has long been internal policy and we’ll soon update our public-facing rules to reflect it. We need to do better on this, and will,” the company said.